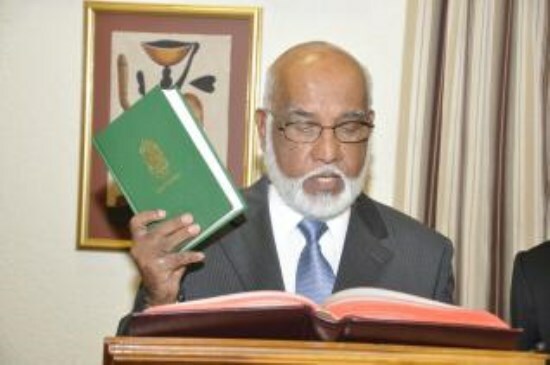 Thu, 2011-06-02: Fired as chairman of Trinidad & Tobago’s Police Service Commission (PSC), Nizam Mohammed on Wednesday night insisted that he was not racist. Mohammed was fired after making controversial comments at a Joint Select Committee of Parliament meeting about correcting an ethnic imbalance in the hierarchy of the Police Service. He spoke at a Congress of the People (COP) patriotic series lecture at the auditorium of the San Fernando City Hall. Mohammed began by stating: ?I am here in my capacity as a member the Muslim community, not as a member of any political party, more particularly the Congress of the People. ?I don?t think I qualify because the executive of that party branded me a racist so I am here as a Muslim.? He said in accordance with the teachings of Islam a Muslim must stand up for truth and justice. On the topic which led to his firing, he said: ?One commissioner of police, three deputy commissioners, ten or 15 assistant commissioners, 20-odd senior superintendents and in 2011 not a single one of them is of Indian origin and you want 50 per cent of Indians to identify and co-operate in the process of solving crimes in T&T.? Mohammed said, as PSC chairman, he felt as a Muslim it was his duty to correct that.? He said he sought to bring that to the attention of parliamentarians at a Joint Select Committee.?? He added: ?Needless to say the President and every political party and every politician inside and outside of the Parliament got down on me and classified me racist.? ?A Muslim could never be racist. You cannot profess to be Muslim and at the same time be a racist.? Mohammed said there were inequalities and injustices perpetrated against Muslims and some Muslim leaders have failed to stand up for what was right. He added: ?Some of them already have gotten from the politicians and those who ain?t get yet have their hands out hoping to get, so that is what we are facing in the country today as a Muslim community. 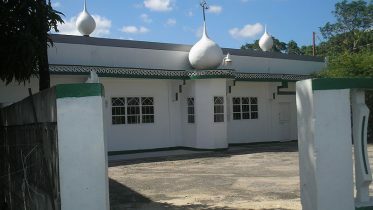 ?The leadership of the Muslim community is found to be wanting.? The head of various Muslim organizations were present in the audience. Commenting afterwards one audience member said “Nizam’s statements were uncouth and misplaced in the context of the evening’s proceedings”. Be the first to comment on "Former Trinidad PSC Chairman:”A Muslim could never be racist”"